Dorine Muraille is the alias of Julien Loquet, a Frenchman currently living in Cherbourg. Having previously recorded under the name :Gel (releasing an album and 12" on the Artefact label, and singles on Active Suspension, Intercontinental and Goomdisques), Julien's new material under the 'Dorine Muraille' alias marked a slight shift in emphasis. Instrumental recordings (double bass, voice, piano, guitars) were taken into a powerbook, arranged and processed through various software, before the results are reconstructed in the final mix on computer. The resultant tracks form an incredibly dense and intricate series of textured layers and melodic clips, an almost Rococo overflowing of ornamental detail. 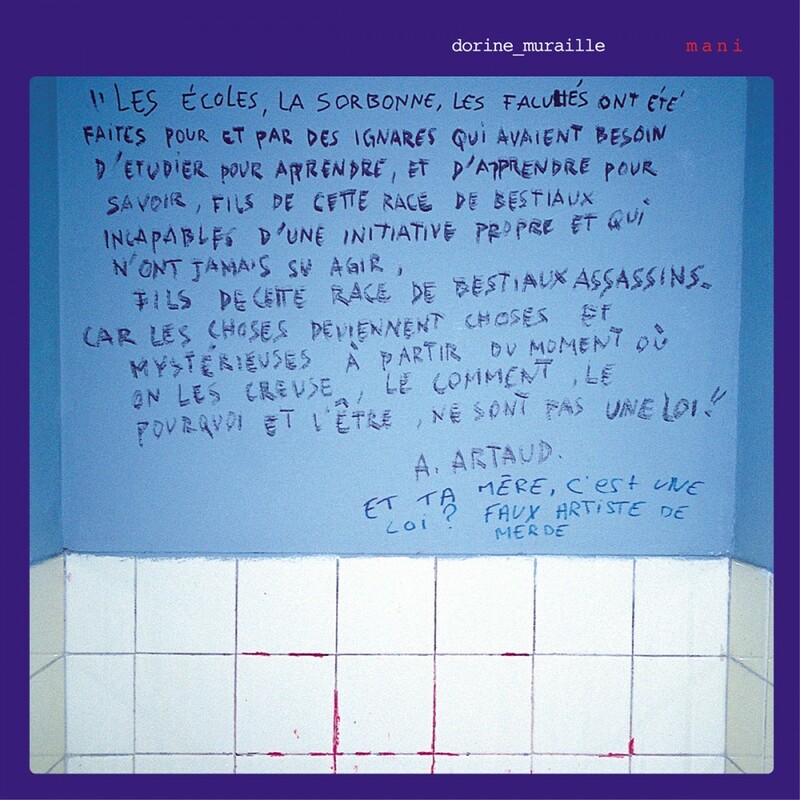 Fuelled by a strong interest in collaboration, Dorine Muraille works by gathering very different girls and boys together, not necessarily musicians, and he loves to have girls from his private life singing on his music (shades of Serge Gainsbourgh), which he describes as 'pop / folk'. As well as working on a collaborative track with French performer Jean-Louis Costes, Dorine_Muraille has also collaborated with Japanese singer Noriko Tujiko (who records for Mego), and has planned a remix collaboration with Scott Heren (Prefuse 73) under Heren's Savath+Savalas alias. The girl singing on this album is a young French writer called Chloe Delaume. Totally unknown a year ago when they began to work together, she then published her second book, "le cri du sablier", which became a big success in France for a novel so "experimental" and won the 'Decembre' prize for literature.